Did you know that one third of adults in New Zealand have experienced an unwanted online communication in the last year? 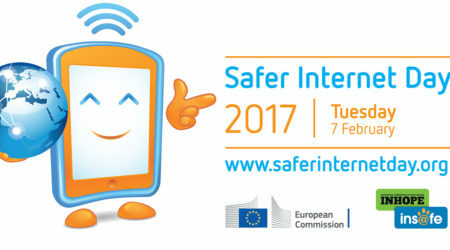 Safer Internet Day is celebrated globally each year on 6 February and promotes the safe and positive use of digital technology. Coordinated in New Zealand by Netsafe, Safer Internet Day is an opportunity for everyone to learn about the things we can do to stay safe online. Why should you care about Safer Internet Day? Eight out of ten people in New Zealand use a smartphone regularly, and more than half of all New Zealanders spend more than two hours online each day. The internet is a great tool that has changed the way we interact with the world. It’s changed the way we share ideas, buy and sell, learn new things and meet new people. We’re more connected than ever. This brings opportunities – BUT it also brings a new set of challenges. Be careful with unexpected contact – e.g about a competition you didn’t enter. Be wary if someone tries to move a deal outside of a trusted trading platform. Never give your password to anyone, even trusted organisations. Use trusted WiFi connections or mobile data when making an online purchase or logging into accounts. Use a credit card or trusted payment service to ensure better protection if something goes wrong. Two-Factor Authentication (2FA) is an extra layer of security for your online account. It’s an extra step on top of your password that makes it harder for others to access your account. Use 2FA on every account you can. For Safer Internet Day 2018 Netsafe has created a Staying Safe Online Guide to make staying safe online easier for everybody. The guide is full of helpful advice, tips and how-to guides from some of the biggest names in tech like Google, Facebook, Youtube, Twitter, and Trade Me.